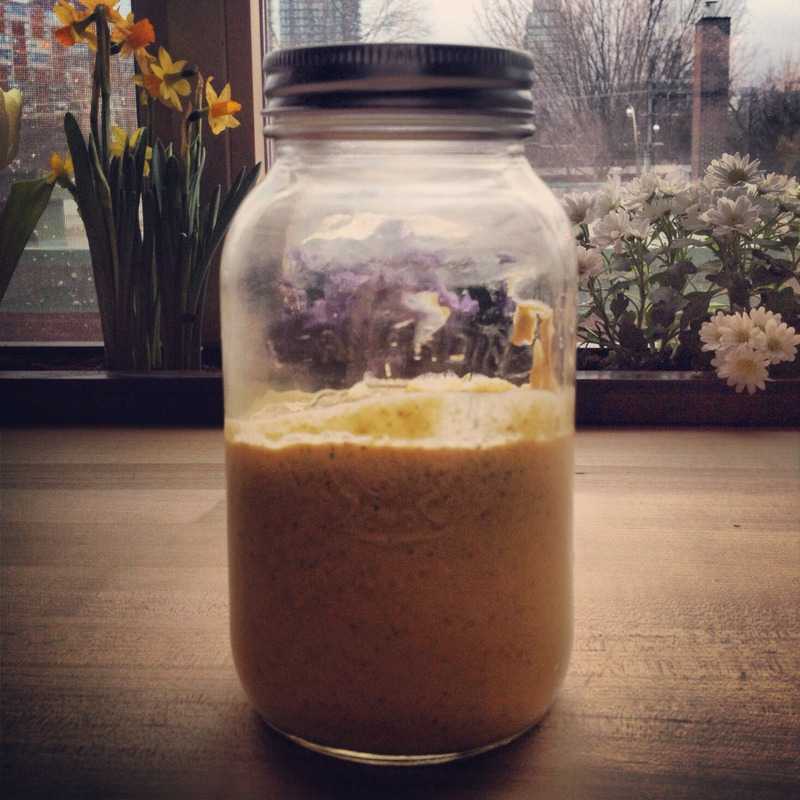 In a blender/magic bullet, combine oil, almonds, water and chickpeas. Blend until smooth, but the almonds have still a little bit of presence. add the rest of the ingredients and blend to desired texture. I’m so intrigued by this sauce! And I love the title! It’s really very good – give it a try!